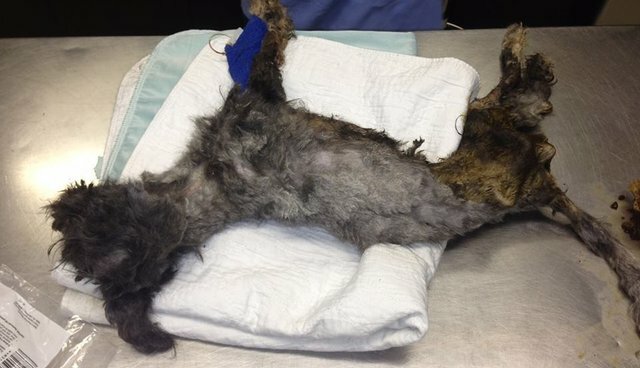 For a while it wasn't clear if Phoenix would even have a future: The little gray dog was found thrown in the trash back in March, barely clinging to life. She was picked up by New York City Animal Control, but she needed such extensive care that the city transferred her to Sean Casey Animal Rescue, a Brooklyn-based organization that had experience caring for extreme cases. 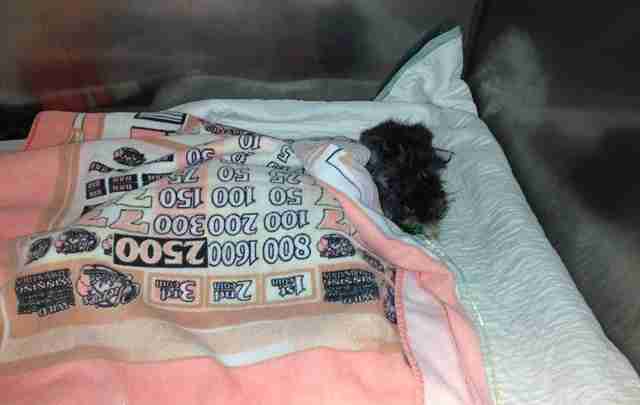 Her new rescuers posted about Phoenix's condition on the organization's Facebook page. "When Phoenix arrived, she was lifeless - she had no strength to move. Her breathing was shallow, her eyes were rolled back into her head, her temperature was low, and she had an infected laceration on her front leg. The doctors felt her odds of survival were slim but we felt we had to try." Despite the odds stacked against her, Phoenix began to slowly improve in the care of her experienced rescuers. Soon after she first arrived, she began to stand and then walk on her own. Her wounded leg healed and her tail began to wag again. Phoenix's supporters eagerly followed her progress on social media, cheering on her successes. 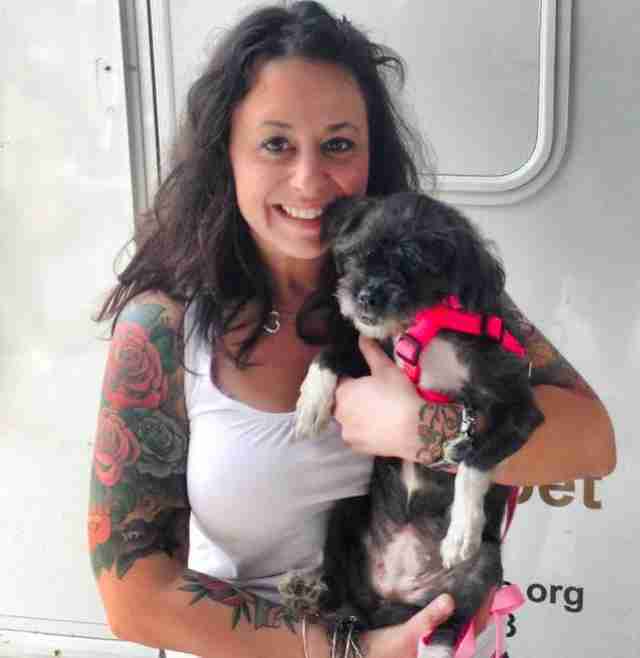 One follower, a dog groomer, even offered free haircuts for life once she was finally adopted. This weekend Phoenix finally got the ultimate happy ending - a new family. Sean Casey Animal Rescue posted the triumphant update on their Facebook page, along with a photo of an almost unrecognizable Phoenix, looking like a happy, healthy dog in the arms of her new mom. "Phoenix update!!! It's official Phoenix has found her forever home. 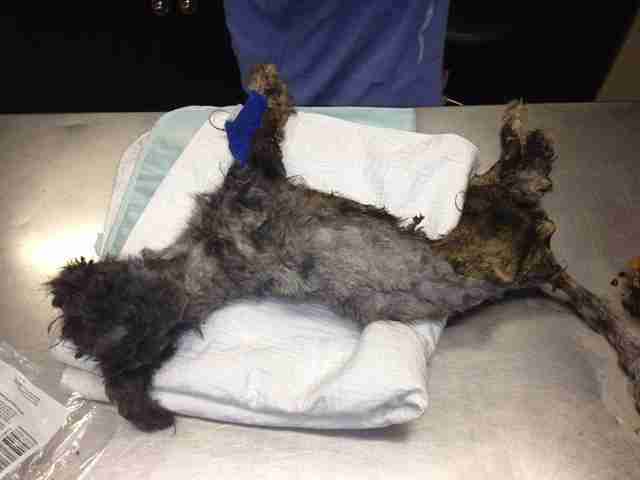 She arrived at SCAR after being starved nearly to death and thrown in the garbage. Today she is fully recovered and officially a SCAR graduate." Congratulations Phoenix - only a few months ago she was thrown out like trash, but now she's a treasured new family member. Click here to find out what you can do to help support Sean Casey Animal Rescue.